The Data Processing Addendum (Data Processing Agreement) is an addendum on the general Terms & Conditions between Infinity Mobile NV and the Client (merchant with shop). (c) "Personal Data" as used in this Addendum means information relating to an identifiable or identified Data Subject who visits or engages in transactions through the Clients online (pop-up) shops (a "Customer/Consumer"), which Infinity Mobile processes as a Data Processor in the course of providing the Client with the Services. 2.1. Where a Data Subject is located in the European Economic Area, that Data Subject's Personal Data will be processed by Infinity Mobile NV. This Personal Data will not be transferred to other regions (eg. United States). 2.2.8. upon termination of the Agreement, Infinity Mobile will initiate its purge process to delete and/or anonymize the Personal Data. If the Client requests a copy of such Personal Data within 60 days of termination, Infinity Mobile will provide the Client with a copy of such Personal Data. 2.3 In the course of providing the Services, the Client acknowledges and agrees that Infinity Mobile may use Subprocessors to process the Personal Data. Infinity Mobile's use of any specific Subprocessor to process the Personal Data must be in compliance with Data Protection Legislation and must be governed by a contract between Infinity Mobile and Subprocessor. 3.1 In the event of any conflict or inconsistency between the provisions of the Terms & Conditions and this Addendum, the provisions of this Addendum shall prevail. For avoidance of doubt and to the extent allowed by applicable law, any and all liability under this Addendum, including limitations thereof, will be governed by the relevant provisions of the Terms & Conditions. 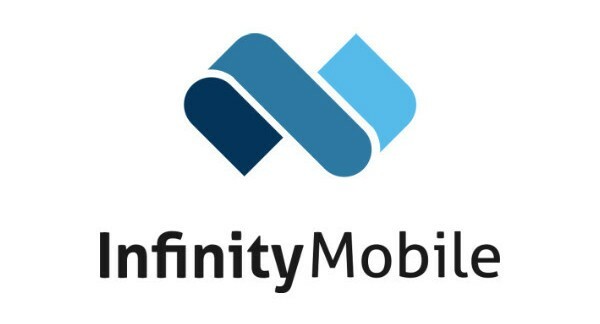 You acknowledge and agree that Infinity Mobile may amend this Addendum from time to time by posting the relevant amended and restated contract on Infinity Mobile's website, available at https://infinity-mobile.io/dpa and such amendments to the Addendum are effective as of the date of posting. The Clients continued use of the Services after the amended Addendum is posted to Infinity Mobile's website constitutes the Clients agreement to, and acceptance of, the amended Addendum. If you do not agree to any changes to the Addendum, do not continue to use the Services. 3.2 Save as specifically modified and amended in this Addendum, all of the terms, provisions and requirements contained in the Agreement shall remain in full force and effect and govern this Addendum. If any provision of the Addendum is held illegal or unenforceable in a judicial proceeding, such provision shall be severed and shall be inoperative, and the remainder of this Contract shall remain operative and binding on the parties. 3.3 The terms of this Addendum shall be governed by and interpreted in accordance with the laws of Belgium, court of Ghent. The parties irrevocably and unconditionally submit to the exclusive jurisdiction of the courts of Ghent, Belgium.